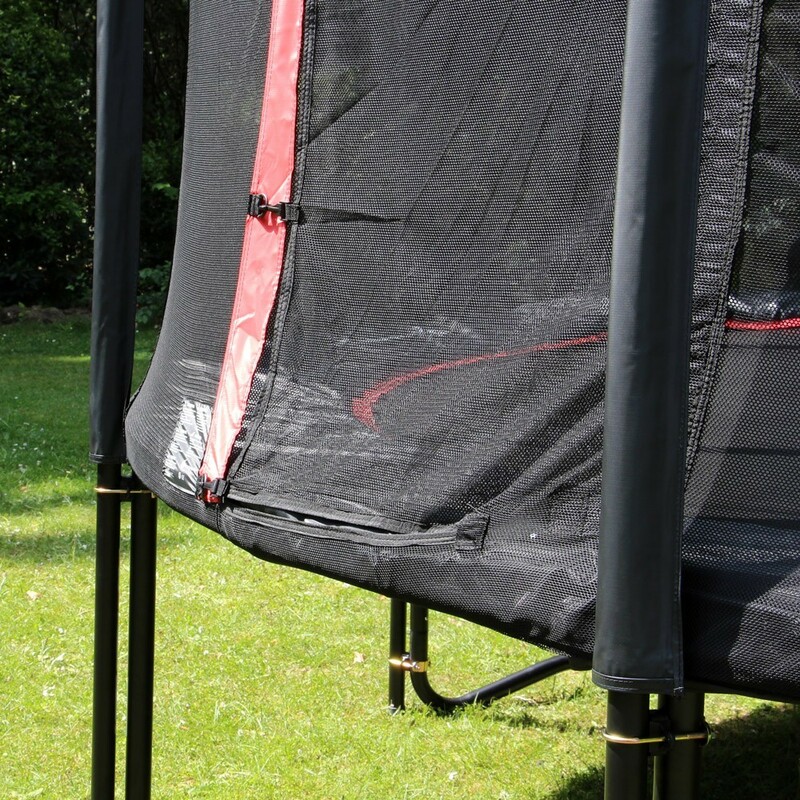 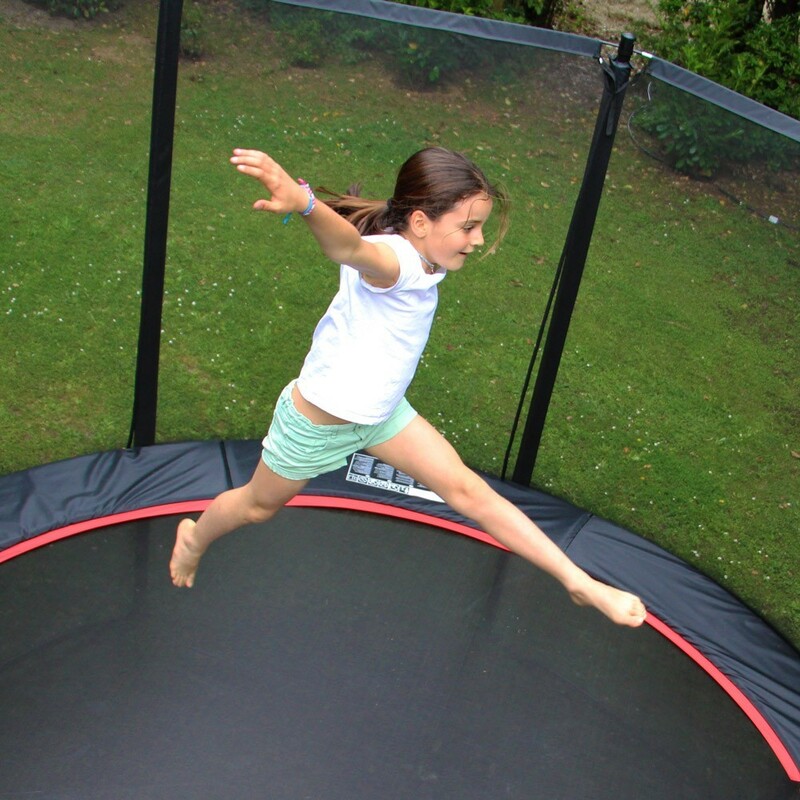 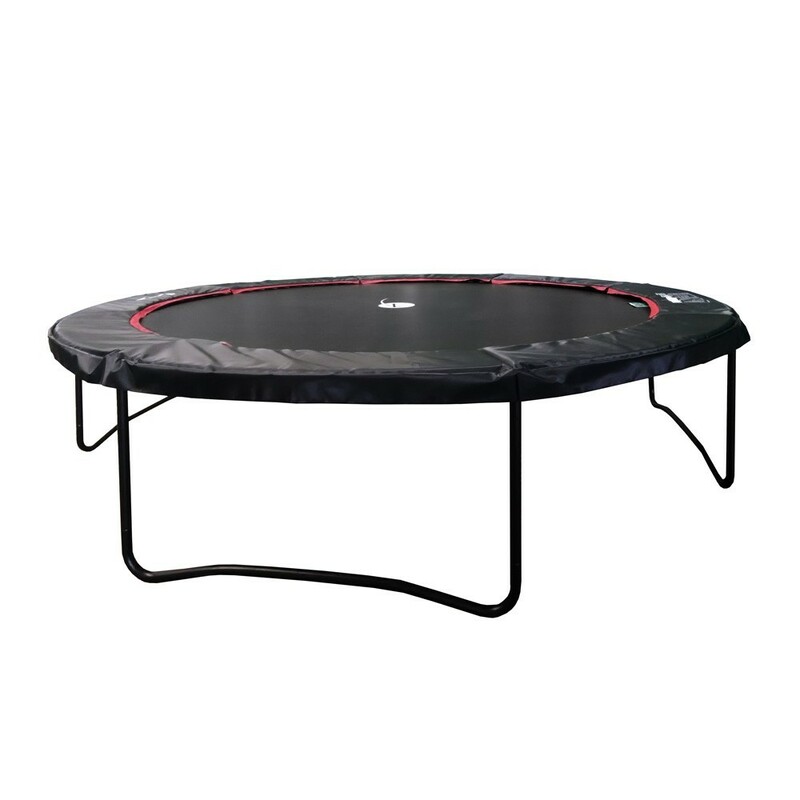 Looking for a robust trampoline that will evolve with the growth of your children and not take up too much room in your garden? 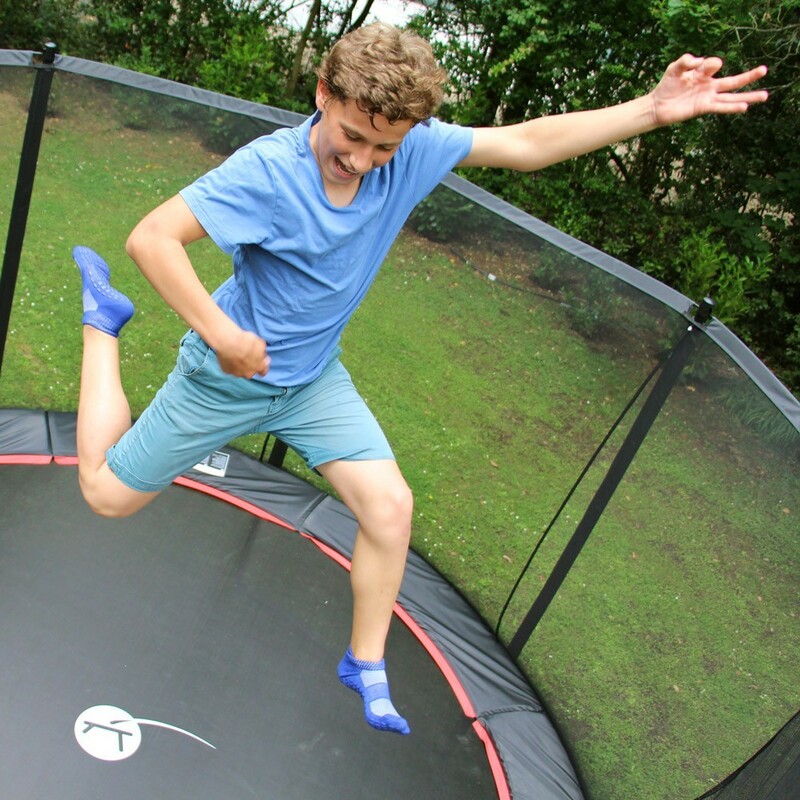 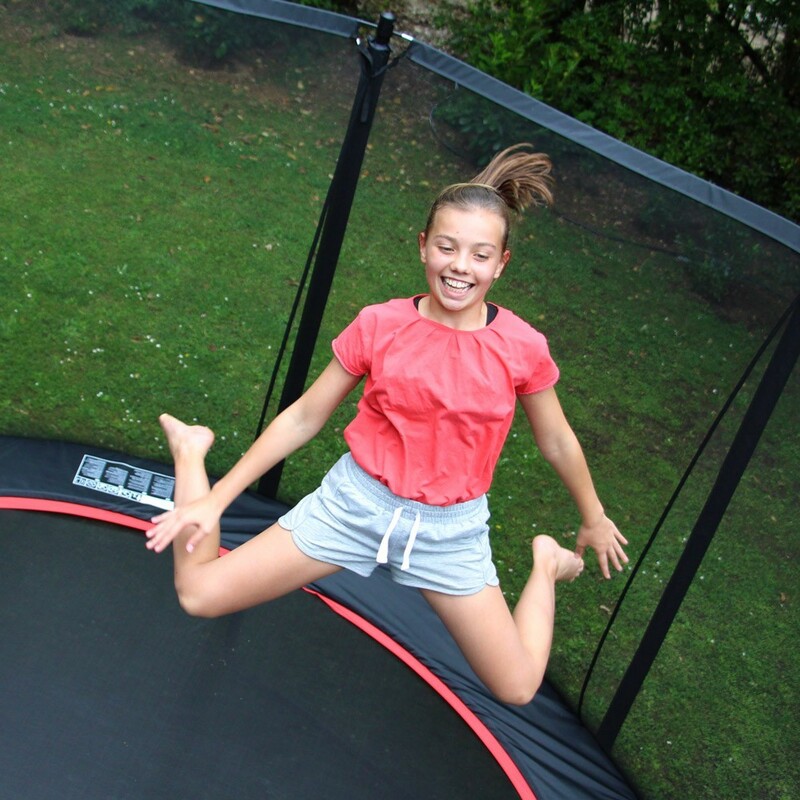 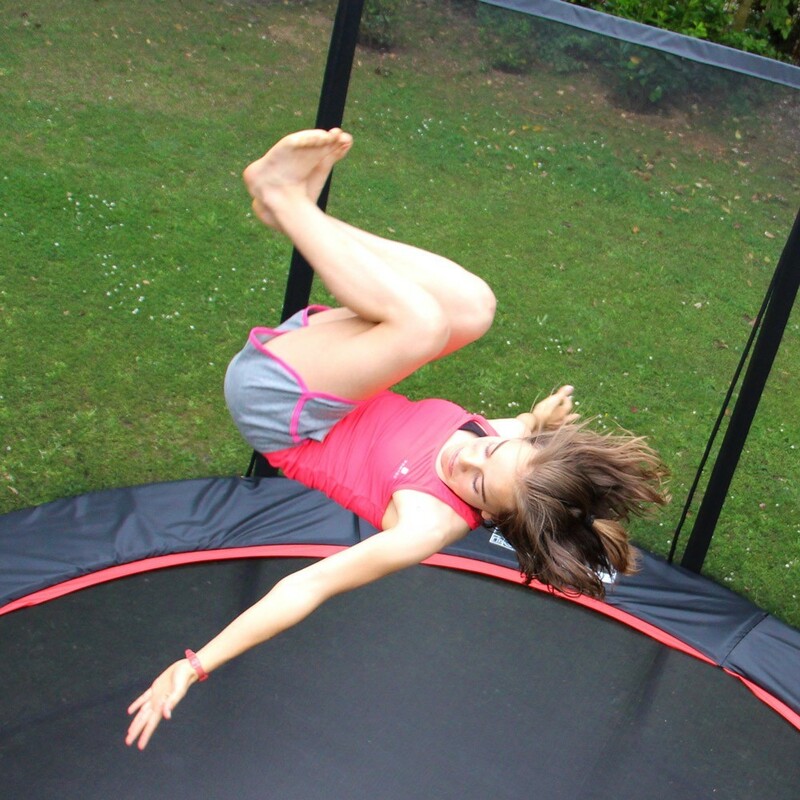 This Booster 360-cm trampoline is made for you! 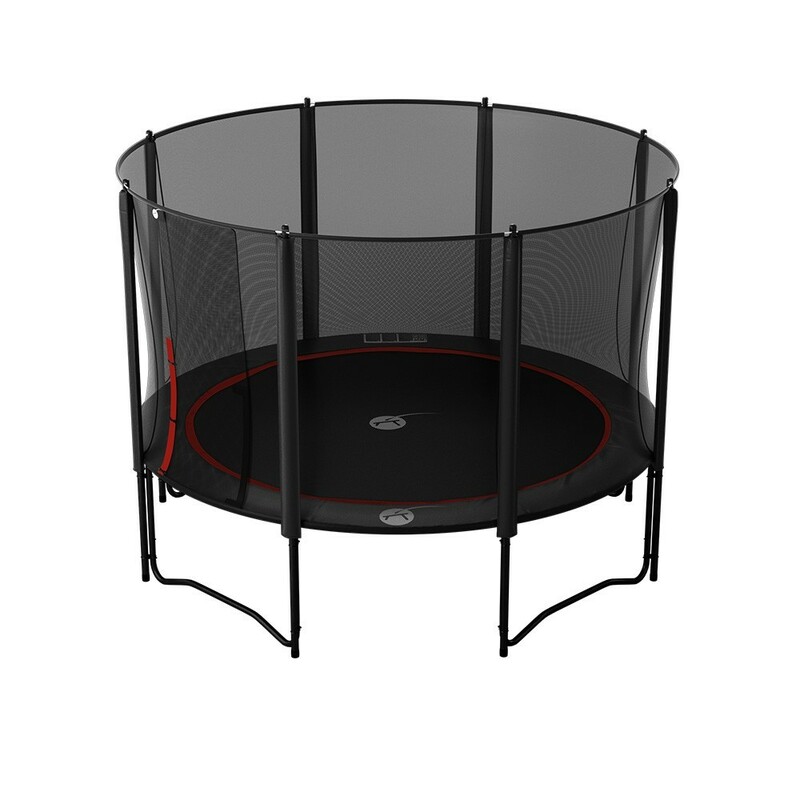 - Dynamic and powerful, with 80 230-mm cone-shaped springs, this trampoline guarantees high jumps and figures for the entire family. 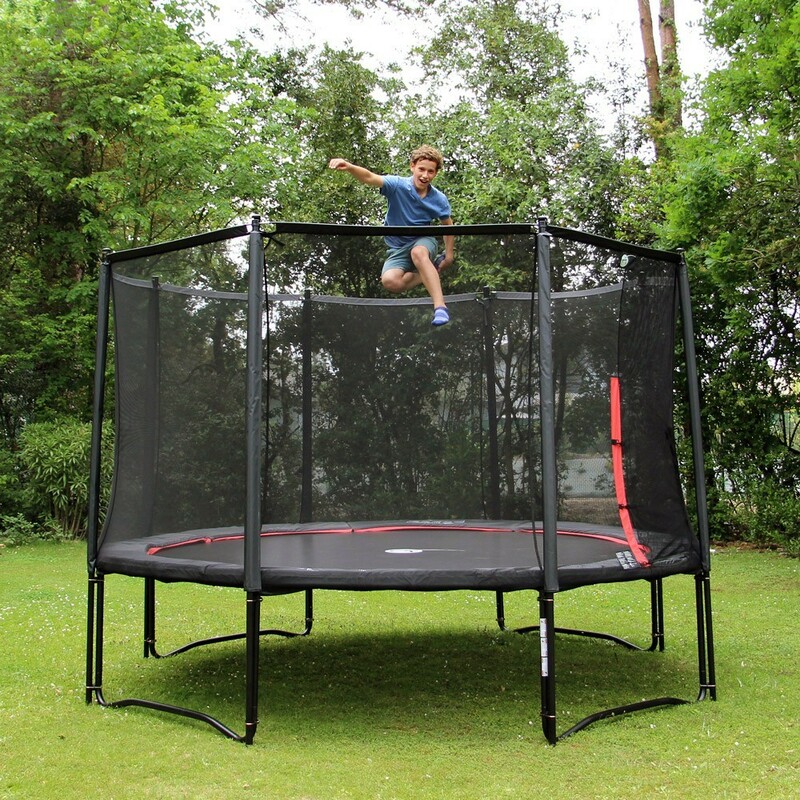 - Designed for mid-sized gardens, this 3.66-meter diameter outdoor trampoline combines powerful jumps with a relatively small footprint. 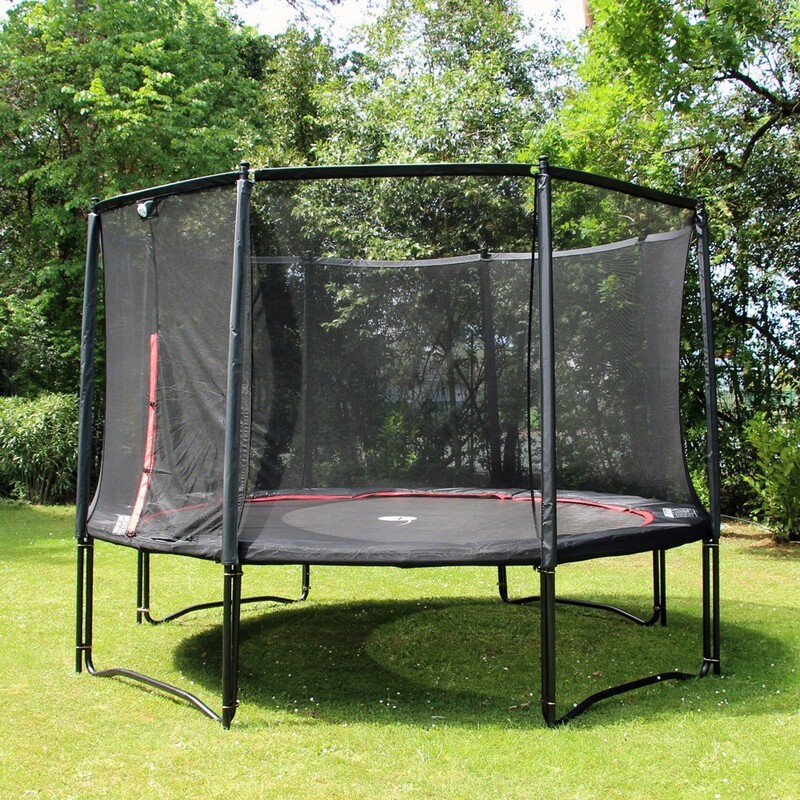 - Its black, corrosion-resistant, galvanized steel frame is assembled with T-shaped junctions to avoid welding. 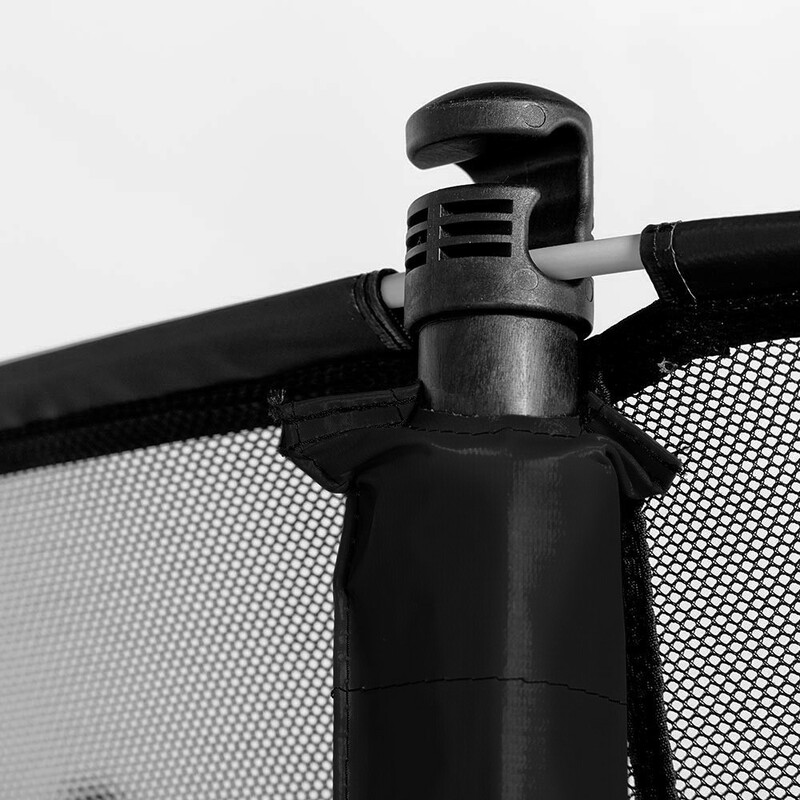 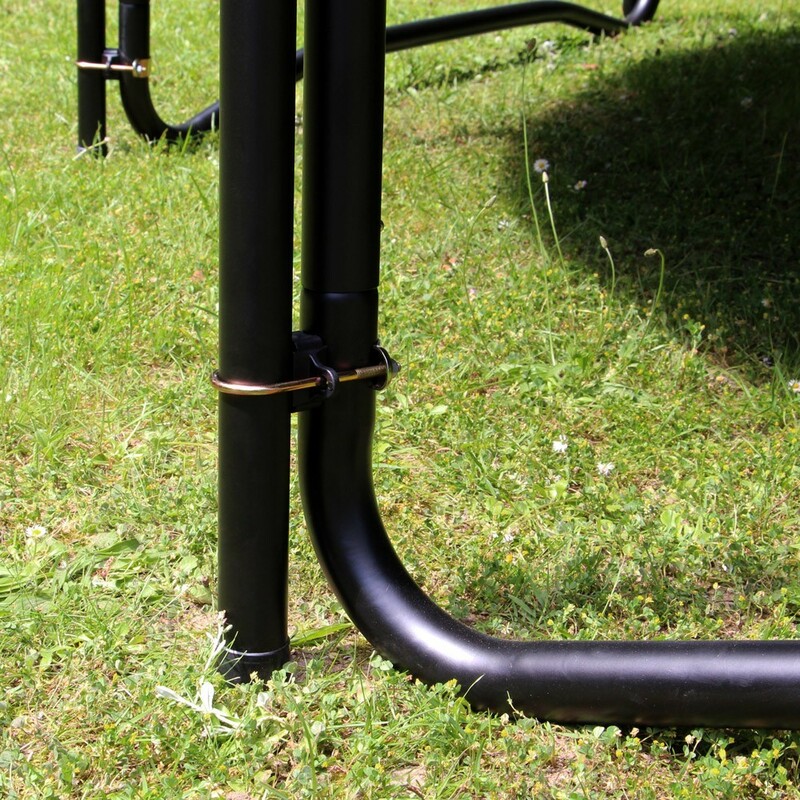 - The 8 galvanized steel posts of the premium safety enclosure rest firmly on the ground. 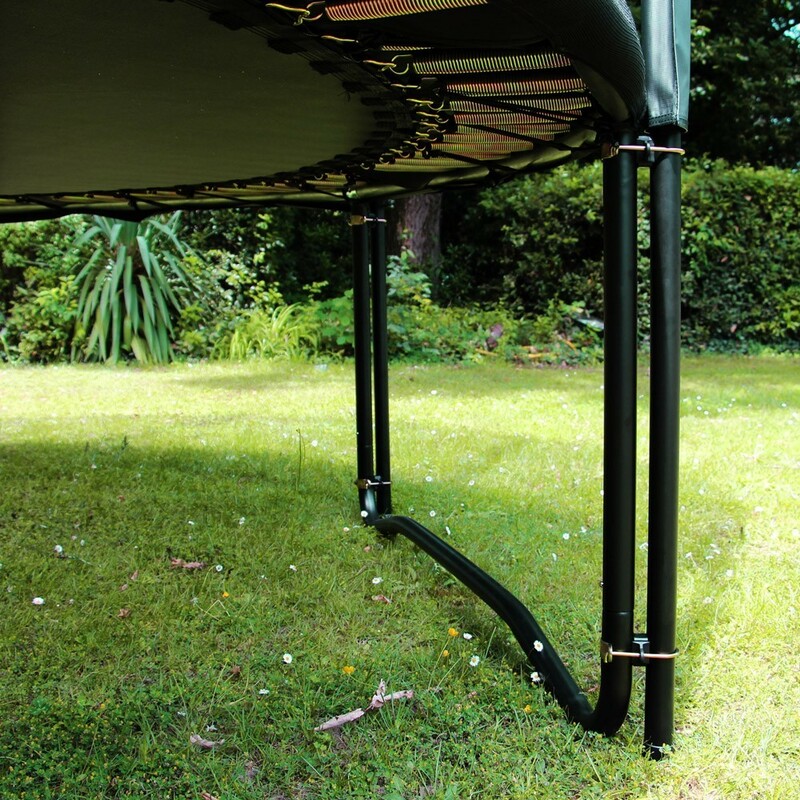 They are attached to the legs of the trampoline with 2 mounting brackets spaced far apart. 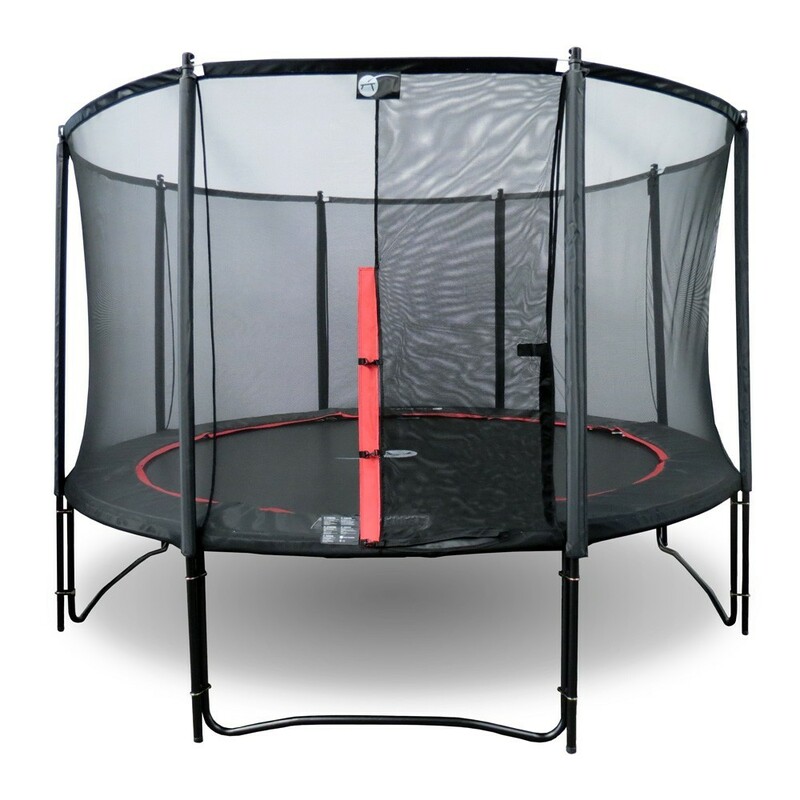 - The trampoline safety enclosure net is made of soft, resistant, tightly-woven polyester mesh, reinforced at the top by fiberglass rods for maximal safety. 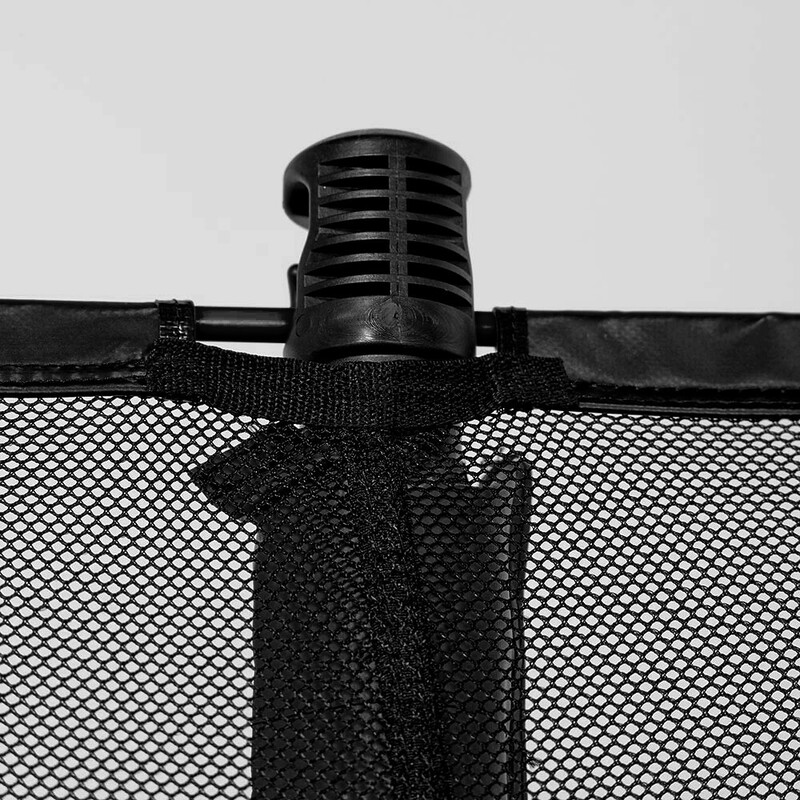 The dual-paneled entry is equipped with Velcro straps and snap hooks. 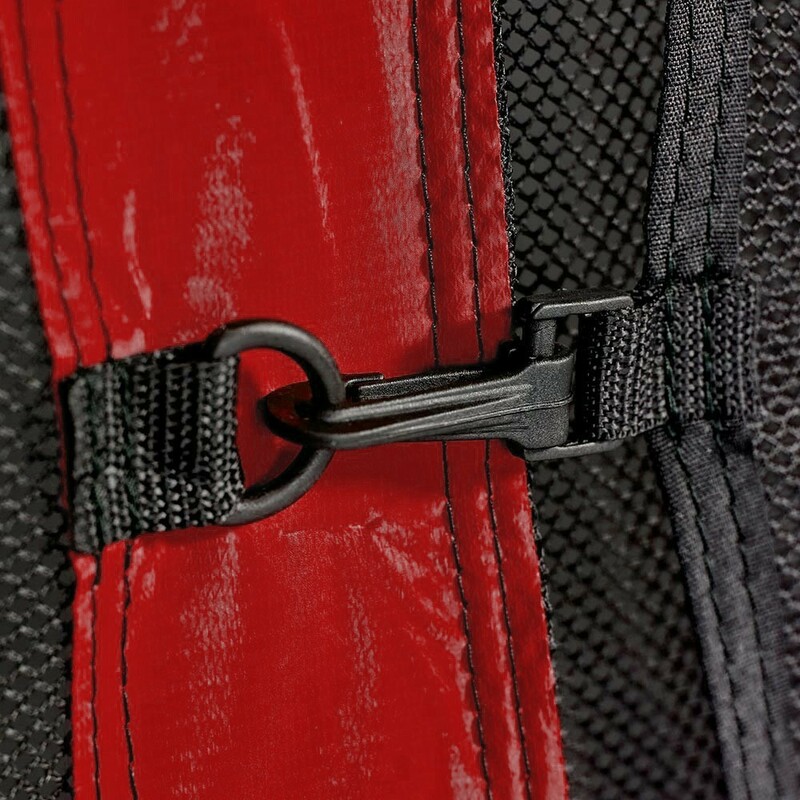 - The thick frame pad is made of a single piece of monobloc foam placed in a black and red PVC sheath. 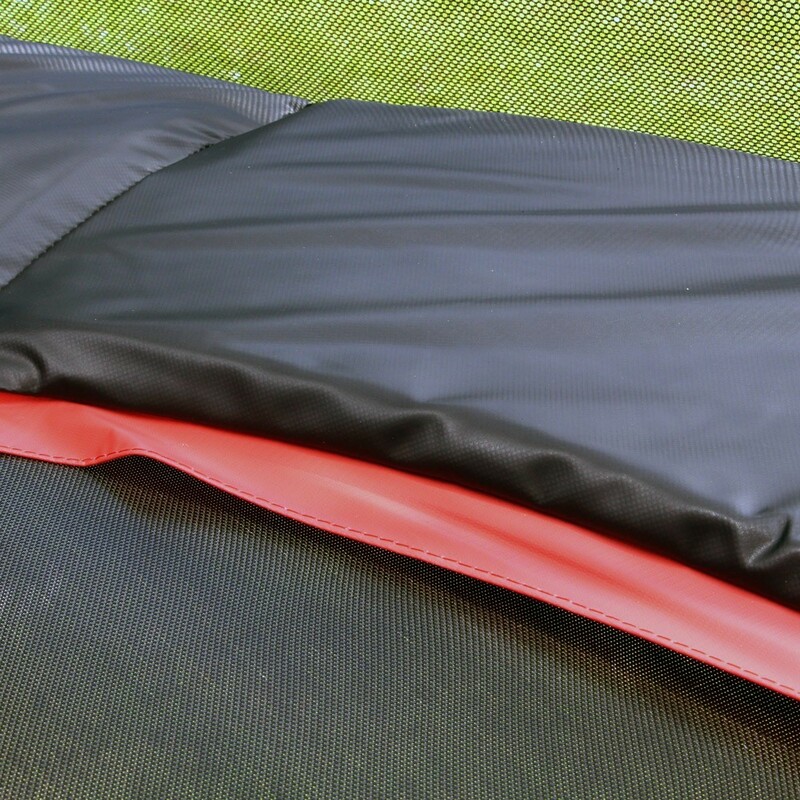 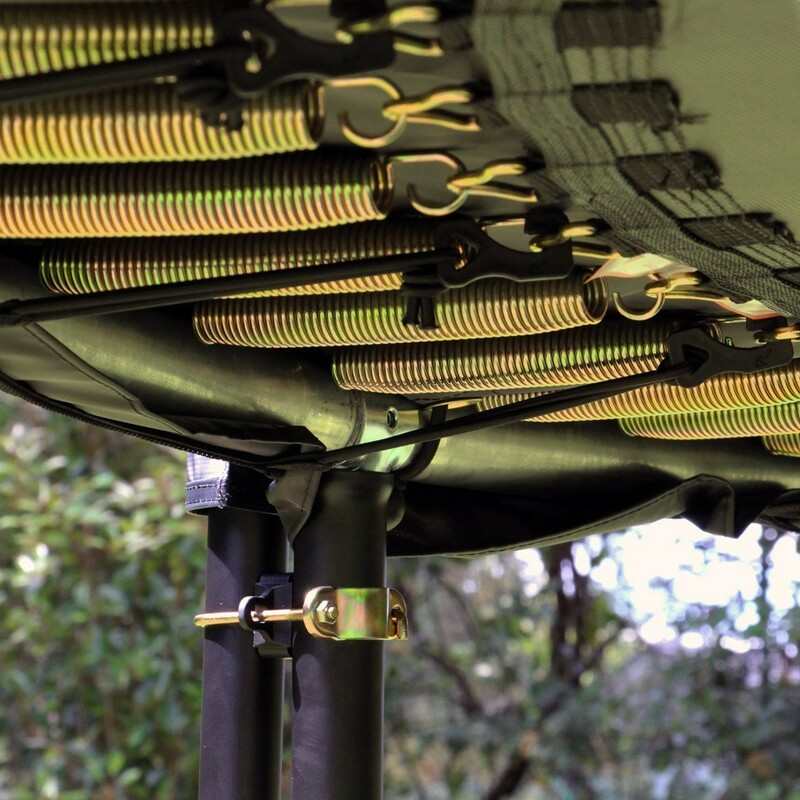 It covers the springs to absorb any shocks if the jumper lands outside the jumping mat.